Get started with your car or truck! This can be done with the ProNano Starter Package Inox Red. Extremely efficient product that is designed for contactless cleaning. Gloss-reinforced, water and dirt repellent. Suitable for cleaning different types of wheels and other metal surfaces! It is an innovative single-phase, extremely efficient product that is designed for contactless, scratch free cleaning of various vehicles: cars, pick-ups, vans, trucks, trailers, boats, etc. ProNano Plus has a deep cleaning effect and also has a color and shine enhancing effect. It is based on Nano Technology and it has anti-corrosive properties. 250 ml of ProNano Plus and 750ml of water (in 1L cup). Shake it well before use. Spray the vehicle from the bottom to the top, wait 2 - 3 minutes and rinse it off thoroughly using the high pressure washer, minimum 145 bars. 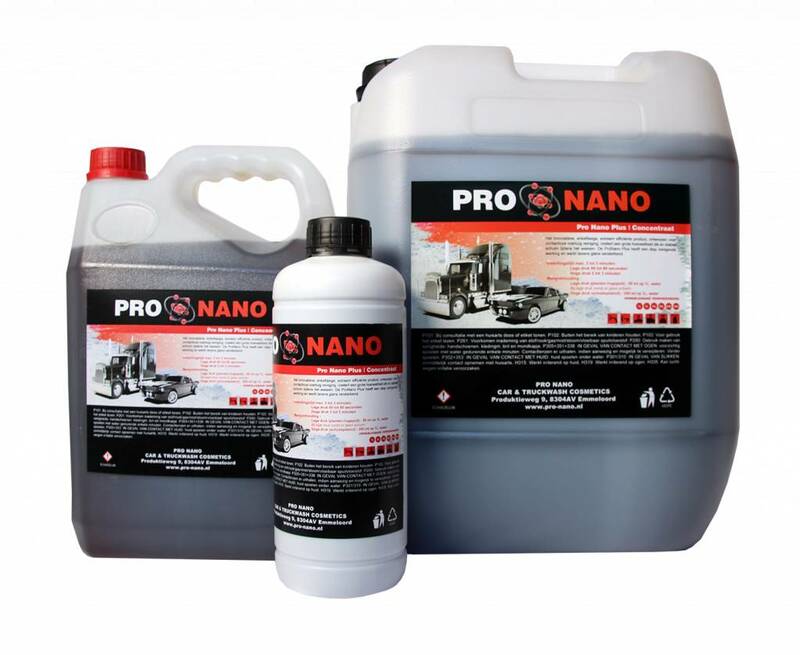 With 1L ProNano Plus (concentrated) you can clean 4 trucks and trailers, 16 - 18 cars, using the high pressure method. 50ml of ProNano Plus and 950ml of water (in 1L cup). Shake it well before use. Spray the vehicle from the bottom to the top, wait 1-1 ½ minutes and rinse it off thoroughly using the high pressure washer. 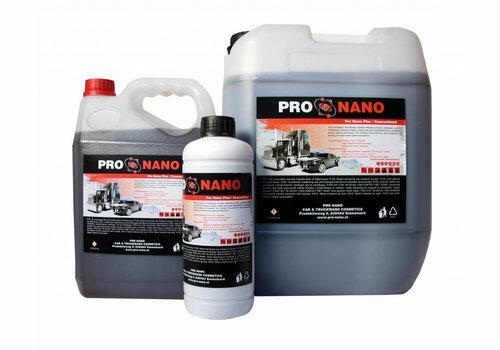 With 1L ProNano Plus (concentrated) you can clean 3 - 4 trucks and trailers, 18 - 20 cars, using the low pressure method. Low pressure: 60 to 80 seconds. High pressure: 2 to 3 minutes. Product with a triple formula of action: dries the surface of the washed vehicle, gives the treated surface optimal paint protection and a great, deep shine; it makes a vehicle water and dirt repellent for 2-3 months. It is based on Nano Technology. 100ml of Diamond Wax and 900ml of water (in 1L cup). Shake it well before use. Spray the vehicle from the bottom to the top, wait 30 - 60 seconds and rinse it off thoroughly with low pressure to remove excess wax residue. 15ml of Diamond Wax and 985ml of water (in 1L cup). Shake it well before use. Spray the vehicle from the bottom to the top, wait 30 seconds and rinse it off thoroughly with low pressure to remove excess wax residue. It is a strong rims cleaner, which effortlessly removes old dirt, oil residue, dirt from street, etc. It is developed for different types of cars’ rims: standard, metal, paint & powder coated. Spray on rims, wait 2 to 3 minutes, until the occurrence of red color, then rinse it off thoroughly using the high pressure washer. It is an innovative single-phase, extremely efficient product that is designed for contactless, scratch free cleaning of various vehicles: cars, pick-ups, vans, trucks, trailers, boats, etc. Get started with your car or truck! This can be done with the ProNano Starter Package All Wheel Clean.